This topic contains 6 replies, has 4 voices, and was last updated by marcos.rodriguez 10 months, 1 week ago. We are wondering about the possibility of having support for comb fields added into the plugin, or a similar formatting options. Combed fields are used to create a sequence of boxes that automatically space out each letter of text that is being filled in. These type of square boxes are common in many US government forms and healthcare forms. It can also be very helpful when filling in information like credit card numbers on invoices to make sure items are spaced out correctly. When changing a text field to a comb field in Acrobat you select how many boxes you want and the field will automatically space out each box based on that number. Great question, yes, the plugin works with Comb PDF fields. Enter a 10-digit “phone number” on this demo form to see the comb field work with the plugin. This reply was modified 3 years, 6 months ago by Admin. 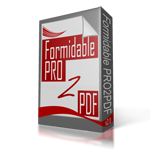 Select the COMB setting on the PDF field properties and enter the number of characters. If you need more help, please elaborate on “Just add the first two figures of a total of 9”, we do not understand the statement. forgive my ignorance but when is the COMB configuration of the pdf field? Depends on which PDF form designer are you using. Are you using Acrobat, PDFEscape.com, or describe other?